I’ve been on YouTube for over a decade and part of my living comes from creating videos. In this post, I’m going to share what I’ve learned. I’ve broken up things into 4 main areas that have four bits of advice. Follow these tips and you’ll not only have success in 2019, you’ll have rewards that stretch beyond the new year. Is this for business, pleasure, or both? This is a very big question before you even set up a channel. How you answer will determine how your channel will go, what kind of videos you’ll make, how much money/time/effort you’ll put in and a whole lot more. Answer this question before going further and realize that making money does have a price. How often do you want to upload? Don’t let a YouTube channel keep you from living a life. Set days, times and a schedule that you’ll work and, more importantly, when you won’t work. Make time for family, friends and other more important things. I know this sounds like a downer, especially if you want to make money and one day, stick it to the man and quit in epic style, but I’m here to tell you, DON’T QUIT YOUR DAY JOB! Not that long ago, the “adpocolopyse” happened and many YouTubers lost all their money and had to look for work. Later on, policy changes occurred, which knocked out other channels from monetizing their videos. In short, have multiple sources of income (online/offline) and if you like your job, keep it. I did and while other channels were affected, I was not. If you’re wanting to make money, how much is enough? A lot of high-end YouTubers have channels where they spend six figures a year to employ a staff…not me, no way! Before you start your channel and go after the money, you have to ask yourself “how much is enough?” I keep things simple; basically, I’m a one-man show. I have low overhead and I don’t need much, hence the money I get goes a very long way. Lots of YouTubers try to “cast a wide net.” In essence, they create videos that will appeal to a very large audience. This is very unsuccessful as the competition is extremely high. If you narrow things down, you’ll be in a smaller pond, but your videos will be seen by more people (you do need to have an audience). The “gurus” on YouTube say that 7 to 15 minutes is the golden time, but what I’ve found is, videos that take no more/no less time as needed do quite well. I’ve seen successful channels have videos that run well over an hour while others have vids that are no more than a minute. No one will watch crap for very long. 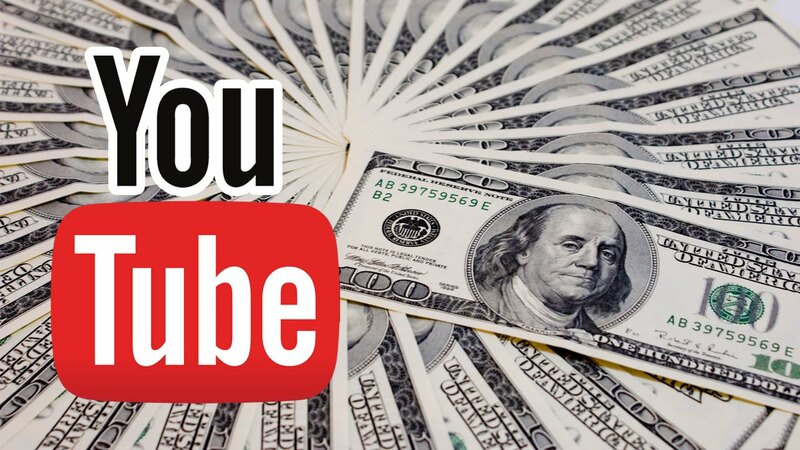 Content is everything on YouTube BUT you don’t have to spend a crapton of money to make a quality video. Many YouTubers only use an iPhone and have millions of subscribers. This is where the search engines get their info on how to promote you and put your video(s) in front of your ideal audience. Your thumbnail, title, description, & tags should reflect what your video is about and be clickable, especially on your thumbnail/title. No one likes salespersons, they avoid them like dog crap, so don’t sound like a sappy salesperson when your share your vids. How your share your vids should be in complete harmony with the thumbnail, title and description and not “get in the way” of your audience clicking to see what you’ve created. Numbers don’t lie and neither do YouTube’s analytics. Make use of them as they will help you find your audience, craft your videos, and see what’s working and what is not. You’re not going to find car guys in a flower shop looking for a ’53 Mercury, and that’s a fact, so don’t put your videos on areas of social media where your audience won’t be found. Find the spots where your people hang out and share your videos, but make sure you check the share policies, they can be strict. Before your head explodes when looking at your numbers and they aren’t where you want them to be, ask yourself, who is my competition? I’ve seen a lot of YouTubers that have burned out because they think that they are in this fantasy competition, which is not true. There’s an audience out there for every quality content creator and you’re only in competition with yourself. At the end of your day, you’ve got to be satisfied with your creation(s) and reasons for being on YouTube. I make videos to help/entertain others and that’s all, and if I happen to gain subscribers/earn money, that’s just a bonus. The most successful channels have this attitude, I would suggest you start off with a successful mindset. The great thing about YouTube is the community. How many times have you been able to talk with an actor/actress…probably few to none, but on YouTube, you can interact DIRECTLY with your audience/fellow creators. This is one of the big reasons why I’m on this platform. Having said all I’ve said about the audience you’ll create, the most important tip I can give you is, don’t let them dictate your creative direction! It’s one thing to use your analytics to craft a better video so your audience will be happy, but it’s quite another to feel like you’re “held hostage” by them. Suppose you want to take your channel in a different direction? If you do this, you’ll lose subscribers and be held to the whims of what’s trending for the day. Your audience is important, but at the end of the day, you can’t please them all, no matter what you do. I’ve gotten some pretty hateful and stupid comments under my videos and one of the first things I wanted to do is to comment, “hey buddy, kiss my a**”, but thankfully, I didn’t. Don’t get triggered by your audience, nor let your feelings guide your creative direction. It may “feel right” at the time, but I’ve never known of anyone that has had long term success being let by their emotions. Rule of thumb, if you feel compelled/urge to reply, make a video, tweet, take down a video, or start/remove a channel…DON’T! These are the four things I’ve learned over the course of 10 years on YouTube. If you remember them, your success will go well past the new year and you might just earn a great living being creative while having a balanced and joyful life. Previous post Do We Worship Baal and Don’t Even Know It? Next post Can a Christian Be Demon-Possessed? The Answer May Surprise You.